Full moon over cattle ranch. 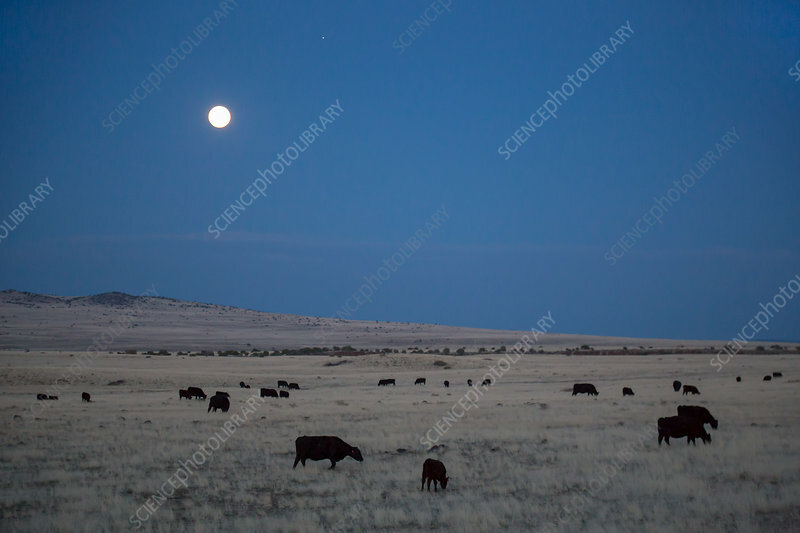 Cattle (Bos taurus) grazing on a ranch under a full moon. Photographed in Arizona, USA.